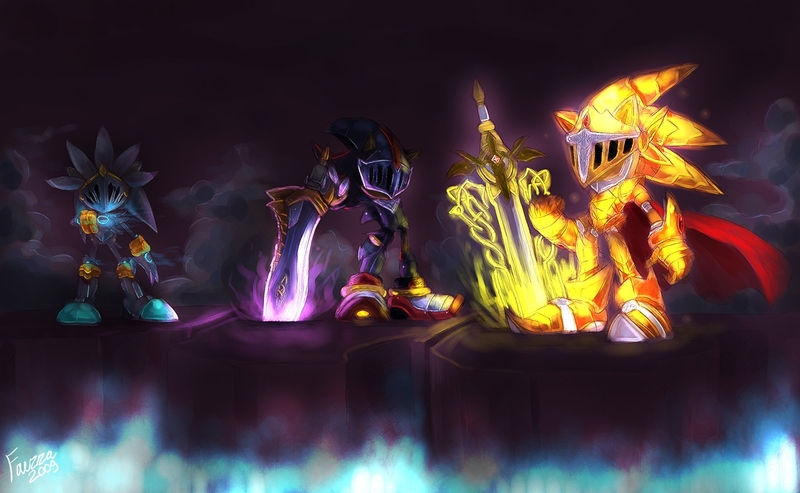 .ThReE kNiGhTs.. . HD Wallpaper and background images in the Sonic the Hedgehog club tagged: sonic hedgehog sega shadow silver. This Sonic the Hedgehog fan art might contain fountain, fire, flames, inferno, and fire.